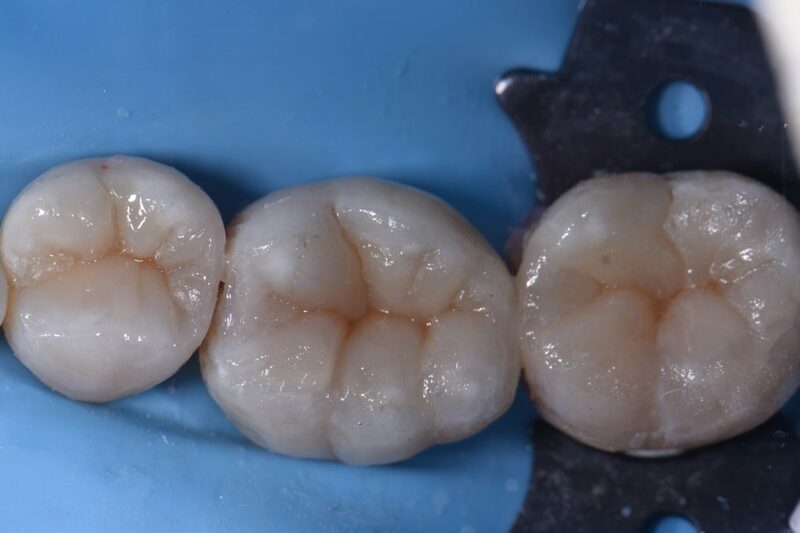 Here we had back to back Class II restorations with some marginal ridge hairline fracture removals. 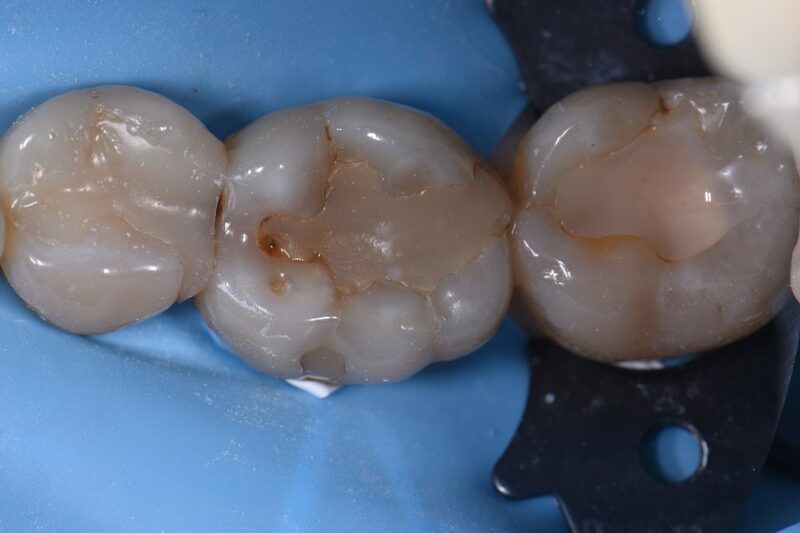 The mesial of 46 is completely stained and features arrested caries from a roughened wall and gouges from past iatrogenic damage and will need to be addressed at some stage in the future. Radiographically looks decent. Should have smoothed it as much as possible before the 45DO, but I was thinking I should just prep it. Next time.